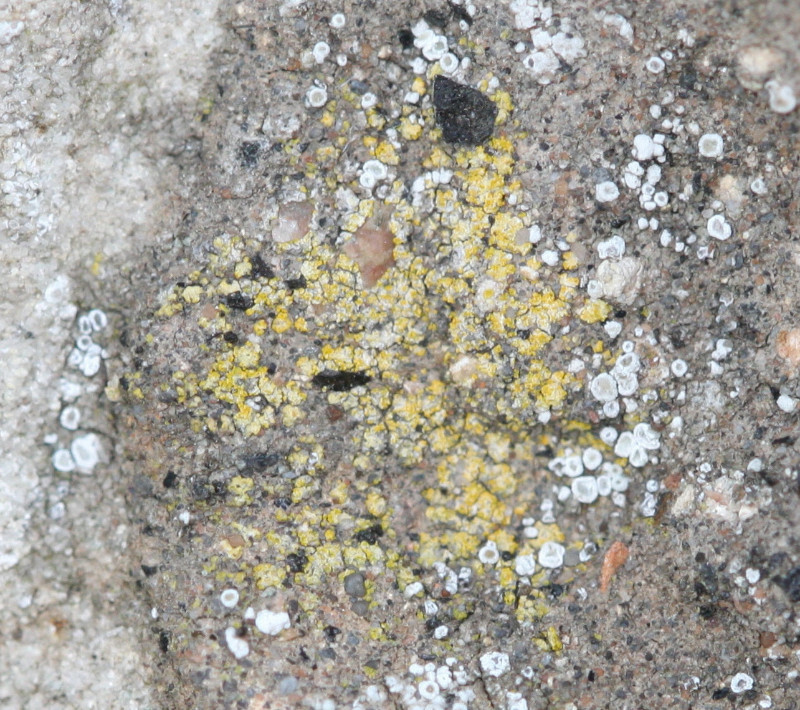 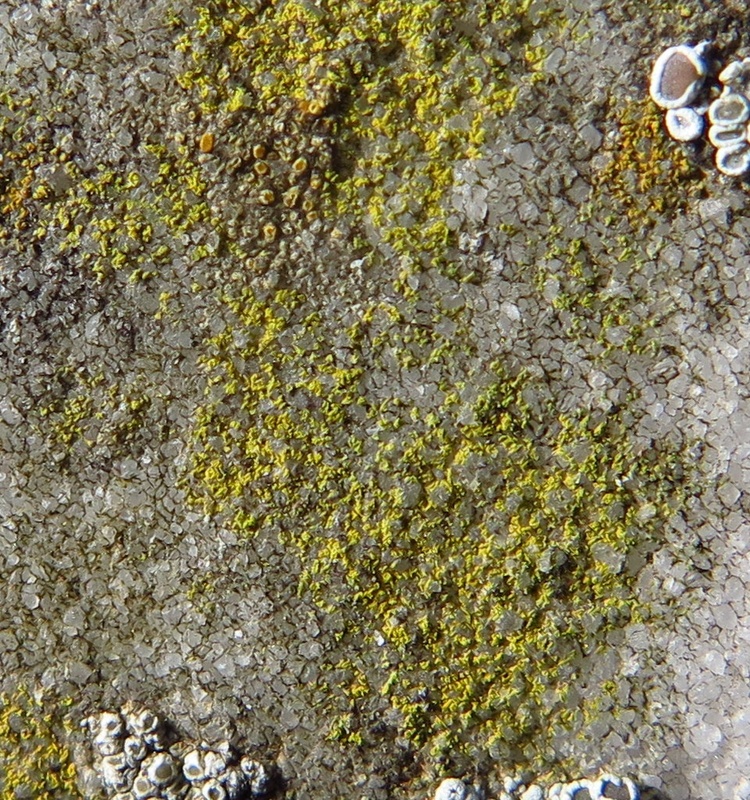 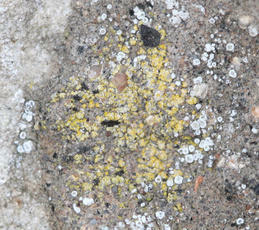 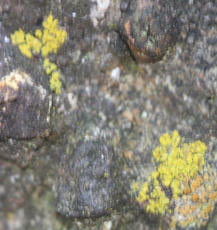 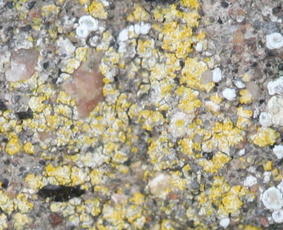 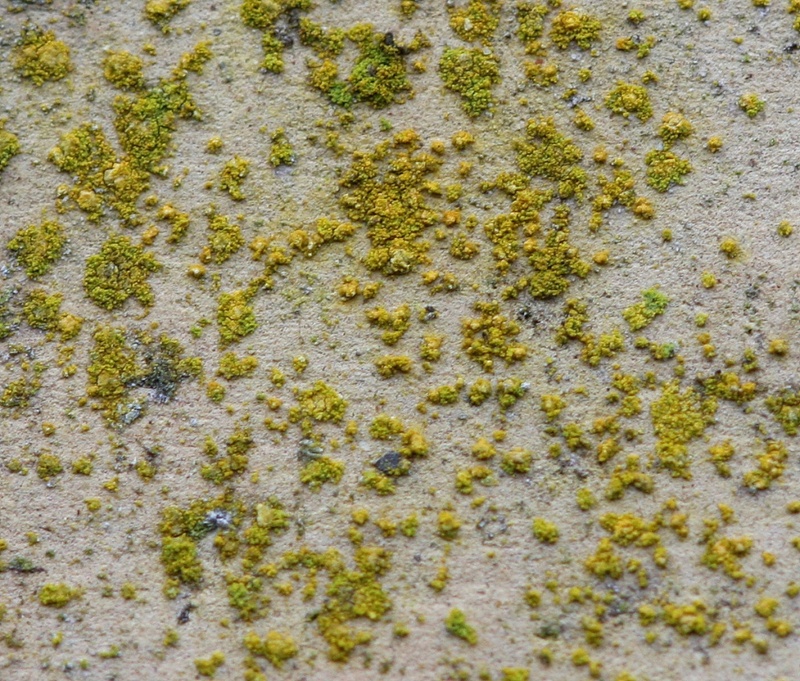 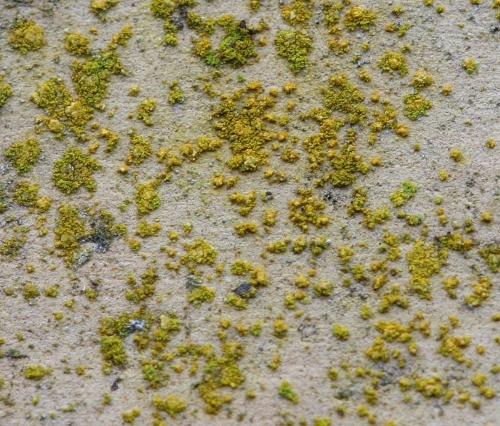 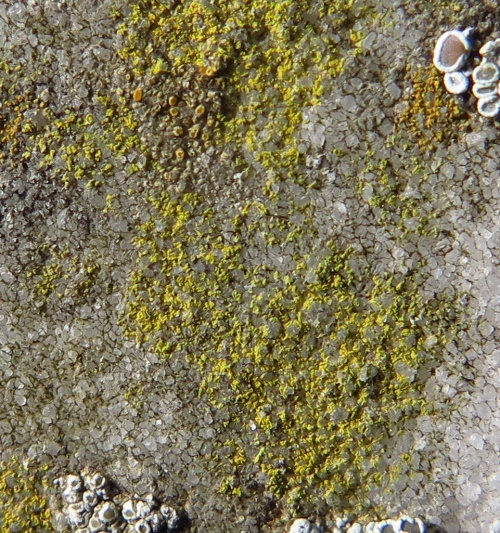 A yellow, crust forming lichen. On base rich rocks, mortared walls, concrete and on base rich bark. 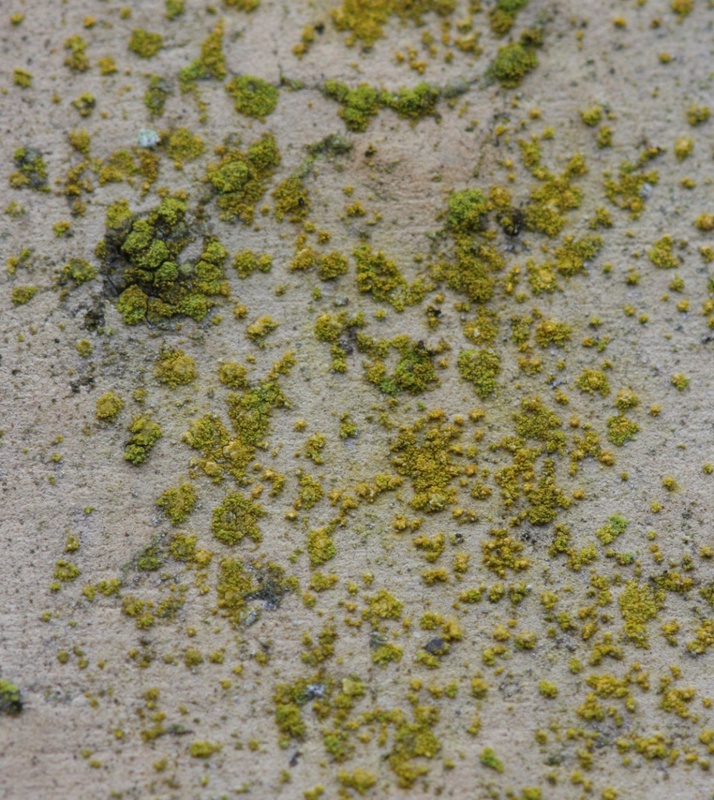 Fairly widespread in Britain, particularly south of a line from the Humber to the Severn.